You can hear the iconic theme when you see the photo. 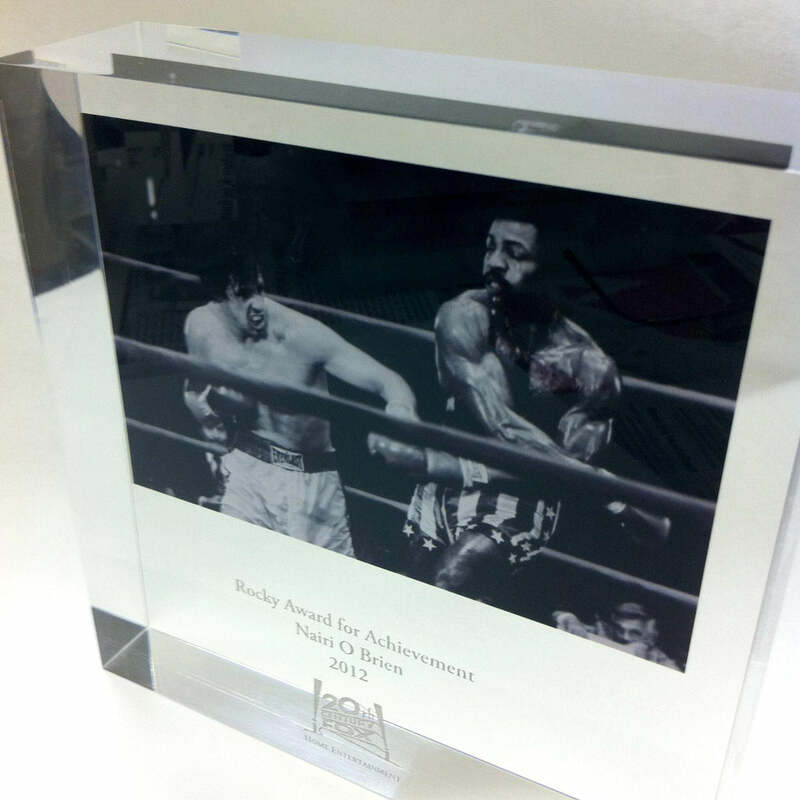 A still from the legendary film Rocky is encapsulated inside a solid, clear Perspex block. The inscription is engraved onto the surface of the award adding a knock out effect to the bespoke award.